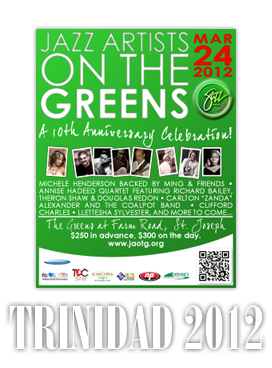 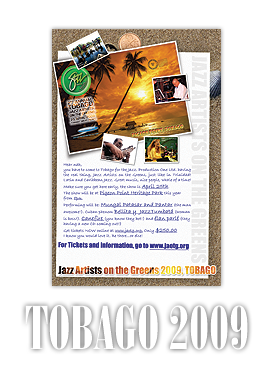 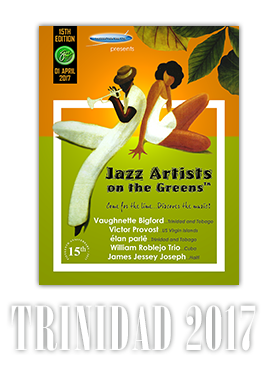 Jazz Artists on The Greens, is a large festival-styled jazz concert event that was initiated in June 2003. 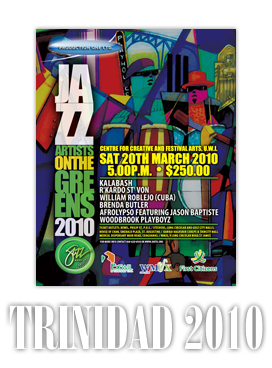 Leaning towards the Caribbean Jazz idiom for inspiration, and with the intention of bringing a touch of class to local jazz, the objective was to expose as many new patrons and young musicians as possible to Jazz, in an informal setting that could help remove much of the mystique that seemed to surround the genre. 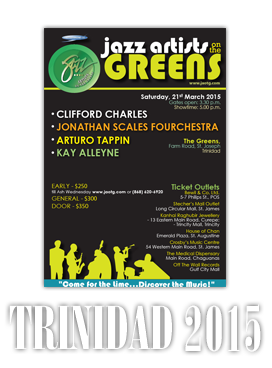 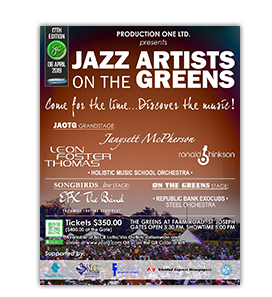 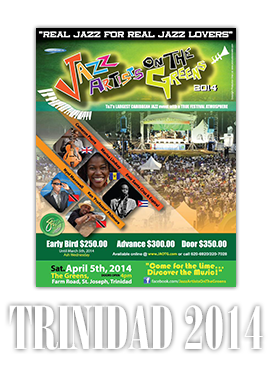 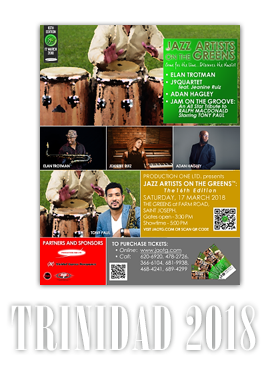 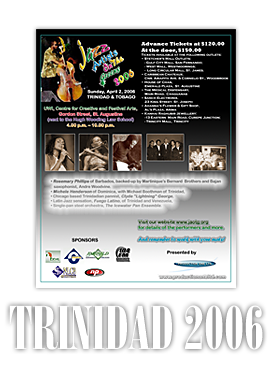 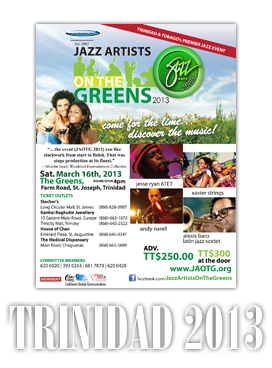 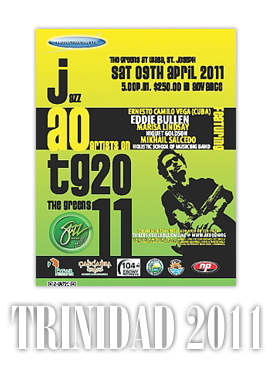 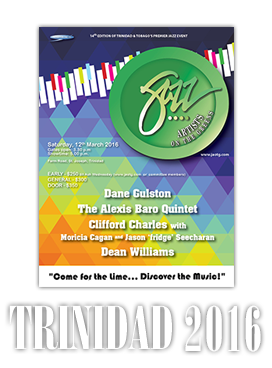 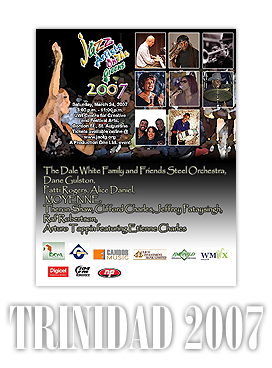 To quote Production One Ltd. director, Rolf Doyle, "Jazz Artists On The Greens is a first step towards a local jazz festival similar in popularity and size to those held annually in St. Lucia and Barbados, but always remaining true to the jazz." 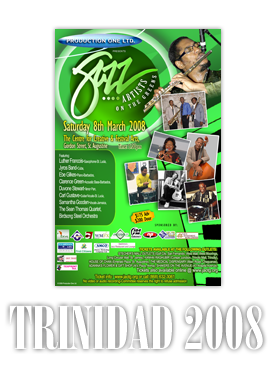 The event has grown from strength to strength, ever widening its base of regional performers...and its audience. 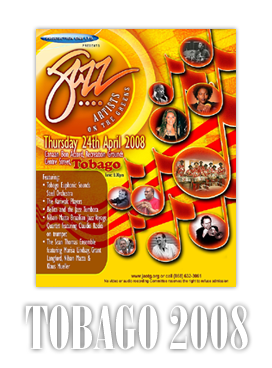 Click on any poster image above to go to that particular website. 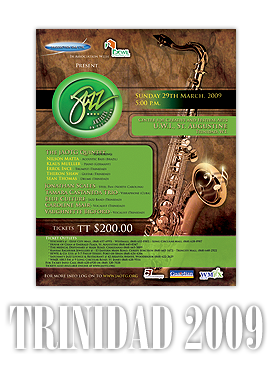 © 2007-2019, Production One Ltd.